and 6 day trainings offered in the US, Switzerland, Canada, NZ, Italy and other locations. Notice: There are no 200 hour trainings scheduled for 2019. YogAlign certification courses have a focus on optimizing postural alignment; a major determinant of mental and physical health and wellbeing. What makes YogAlign trainings different? YogAlign focuses on attaining natural alignment to eliminate chronic pain, injury, and premature aging in the human body. There is an emphasis on safety, stability and the usage of sound biomechanical principles, rather than contorting the body to achieve poses. YogAlign asana are globalized positions based on how our body is designed to move in real life function. Besides alleviating chronic pain and joint deterioration, posture alignment affects every system in the body. When we are aligned, our body’s cells have the necessary nutrients, circulation, and waste removal to function optimally. Healthy cells in every part of our body are needed for the bio-intelligence to heal injuries, immune weakness, organ dysfunction, vertigo, anxiety, depression and chronic pain. Once aligned, the more subtle realms of consciousness revered by ancient yogis are more accessible. Students transform from rose buds and gradually bloom into beautiful flowers without pain or force to the body. There is a profound love that permeates the training and the group becomes a family supporting each other to let go, receive, and do less. 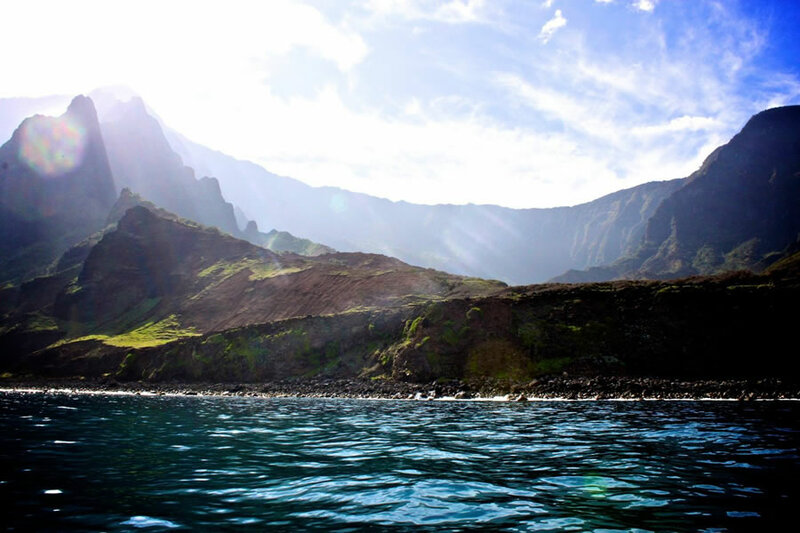 This course enables a strong acceleration of personal growth, heart opening, access to inner power, and a connection to nature. 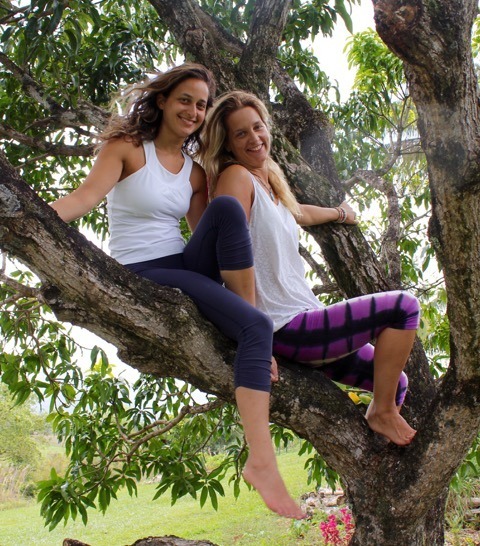 Is a YogAlign Teacher Training Course for You? 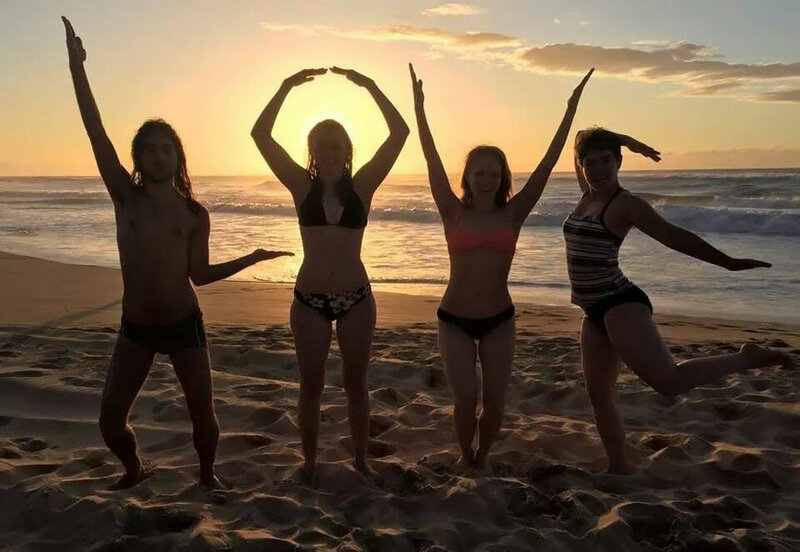 YogAlign trainings are a perfect fit for those interested in the human body, massage therapy, biomechanics, movement education and of course the mindful practice of yoga. Nobody is required to perform any pose or body position if you deem it uncomfortable or unsuitable. This course is about alignment from core center, not getting ‘good’ at performing yoga poses. 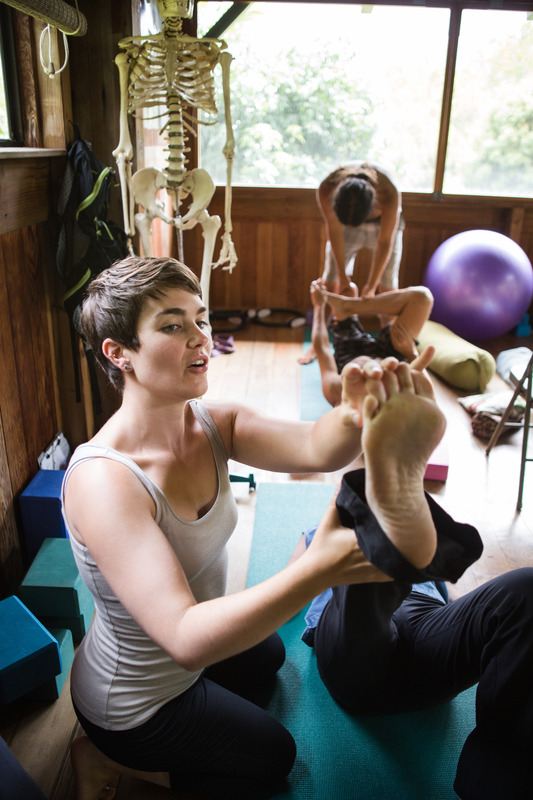 Continuing education units are available for yoga teachers, massage and physical therapists. Many people who already have previous 200 or 300-hour yoga certifications become YogAlign teachers. Some students who enroll in the course have had prior experience teaching but still found themselves with pain or yoga injuries that created confusion about how to continue teaching yoga safely and effectively. 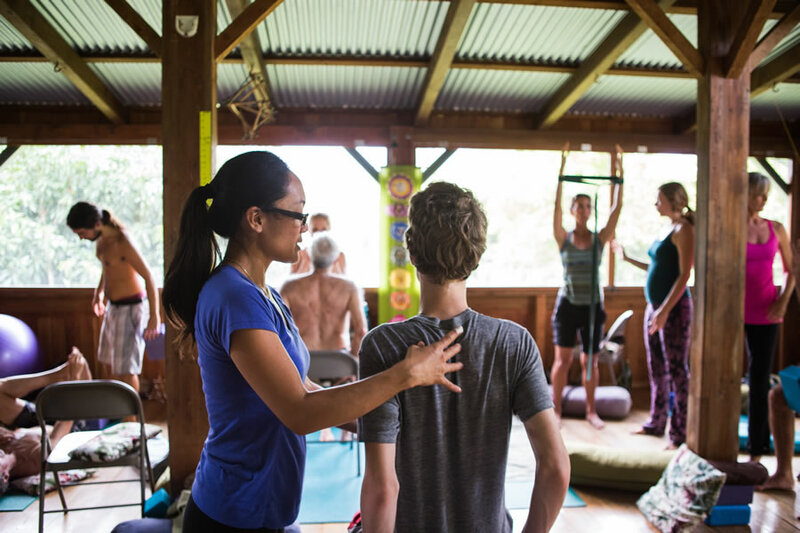 The YogAlign course enables students to gain an understanding and acquire the skills to practice and teach yoga asana from a global body perspective that facilitates alignment and healing. 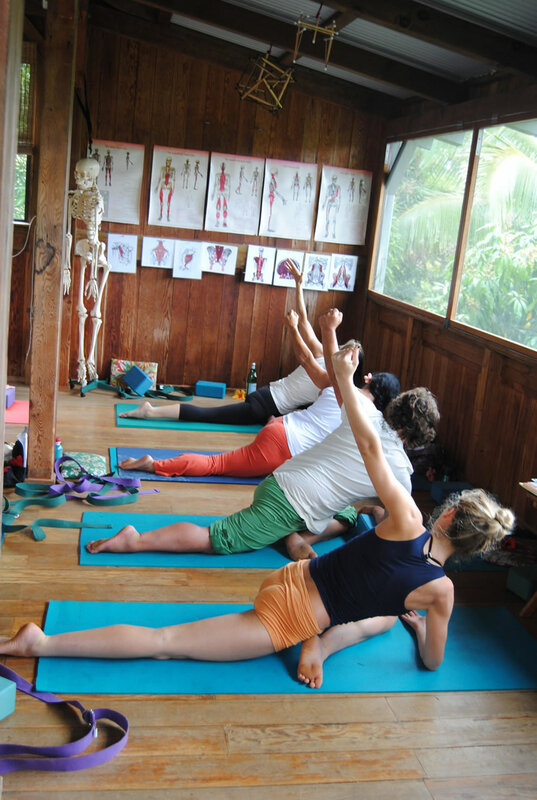 YogAlign courses have a strong foundation in functional anatomy and physiology. You will be studying anatomy of the muscles, bones and fascia both via the academic method and through experiential learning. Fascial anatomy is strongly emphasized as is developing proprioception skills using reciprocal inhibition and PNF (Proprioceptive Neuromuscular Facilitation) in rewiring tension at the nervous system level. In the first part of the course, you will upload a new program of integrated posture ‘software’ into your physical, emotional and mental bodies. As you activate your internal forces of lift and radiance through YogAlign breathing work, you start to eliminate the issues in the tissues resulting from previous physical or emotional traumas. Energy is freed when there is a letting go of ingrained tension accumulated from yoga poses, fitness exercises, chair sitting or habits like keeping the belly tight. YogAlign creates an inner sustainability where less effort is needed on all levels as a whole – in body, mind and spirit. In the middle of the course you are given the opportunity to practice teaching each other as you continue with a daily class for self-practice. The final part of training, in both the 200-hour, 6 day and 10-day courses, includes a practicum in which you will have the opportunity to work one-on-one with clients. You are going to have a lot of fun learning. 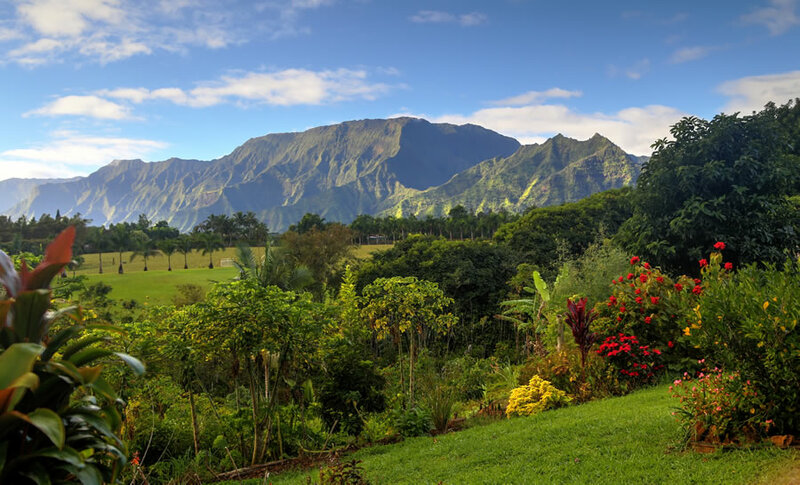 The training courses held on Kauai provide a unique opportunity to be in the beauty of nature while you become a teacher. 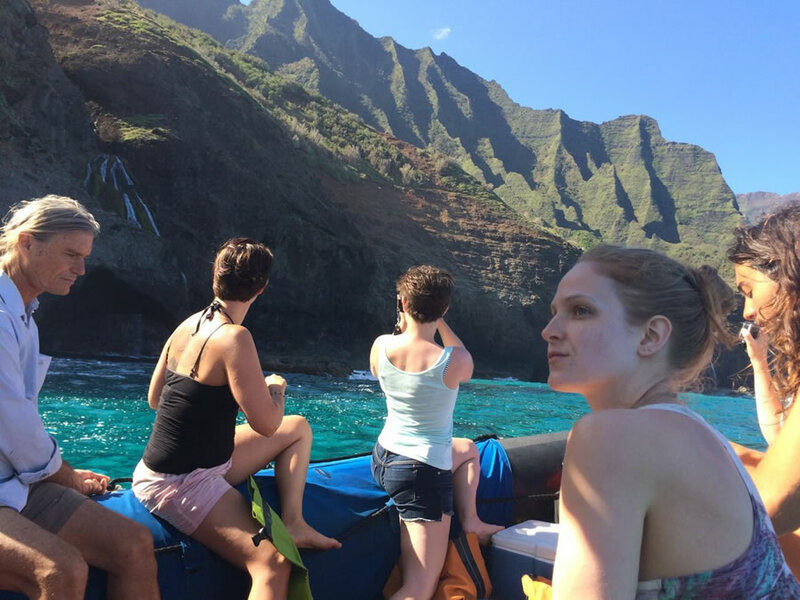 Most 200-hour courses include a private group boat trip down the beautiful Na Pali coast as well as group swims, hiking, singing and visits to sacred sites. Before and after photos are taken as a record of your transition. Your clients in the practicum will also be photographed before and after. 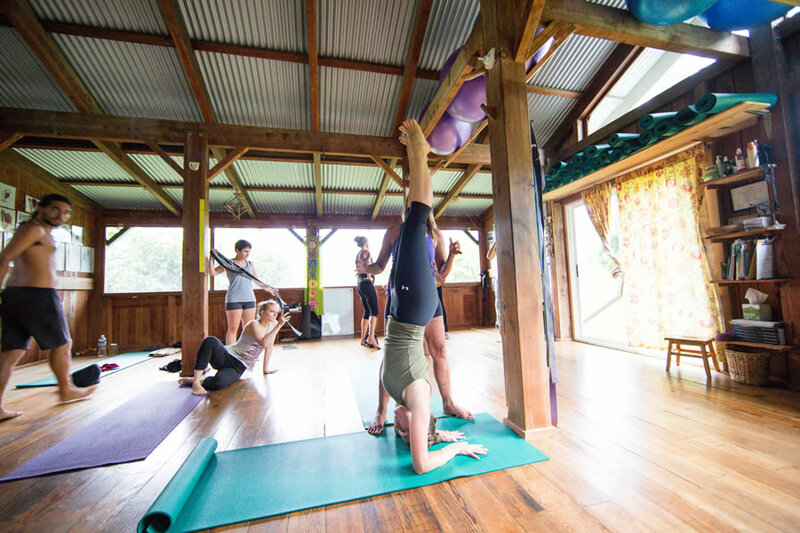 Kauai Yoga School is a registered school with Yoga Alliance. Graduates of workshops or trainings can register hours with Yoga Alliance for continuing education credits or as a RYT or registered teacher in the 200 or 300-hour category. Payments for tuition are fully refundable 30 days before starting date of the course. After 30 days, tuition is still refundable if another student registers for placement in the same course. In case of sickness or health issues during the course requiring one to leave, a student may enter the same course at a later date free of charge. 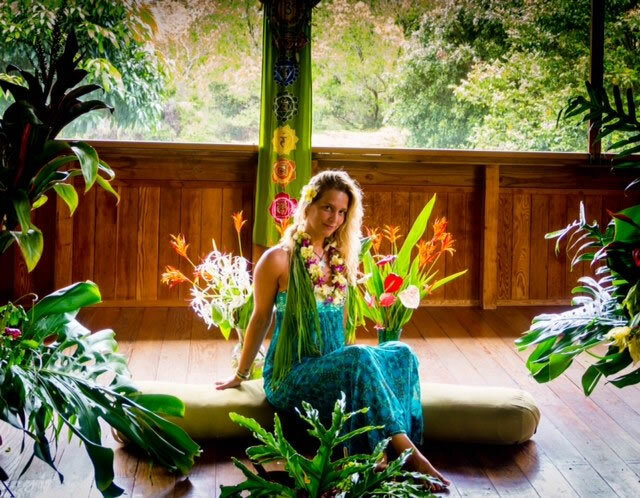 Kauai Yoga School reserves the right to cancel a training 30 days before the course start date and all payments will be fully refunded within two weeks of cancellation. Extreme disruptive behavior during the course can result in dismissal and forfeiture of all funds and payments. How has yoga affected your life? Do you teach currently or plan to teach yoga? What is your training and/or what do you teach? Describe your current yoga practice including the frequency, duration and number of years you have been practicing. Please list any yoga workshops, seminars, trainings or retreats you have attended. Do you have any physical injuries or cognitive impairment? Please describe in detail. Have you had any previous surgeries? Please describe. Are you on medication for any physical or mental illness? Please describe. If there is any condition or reason that would interfere with your performance or successful completion of this course? Please describe.